Neonetics Red Crown Gasoline Neon Wall Clock 8CROWN - California Car Cover Co.
Give your home the fabulous glow of real neon. 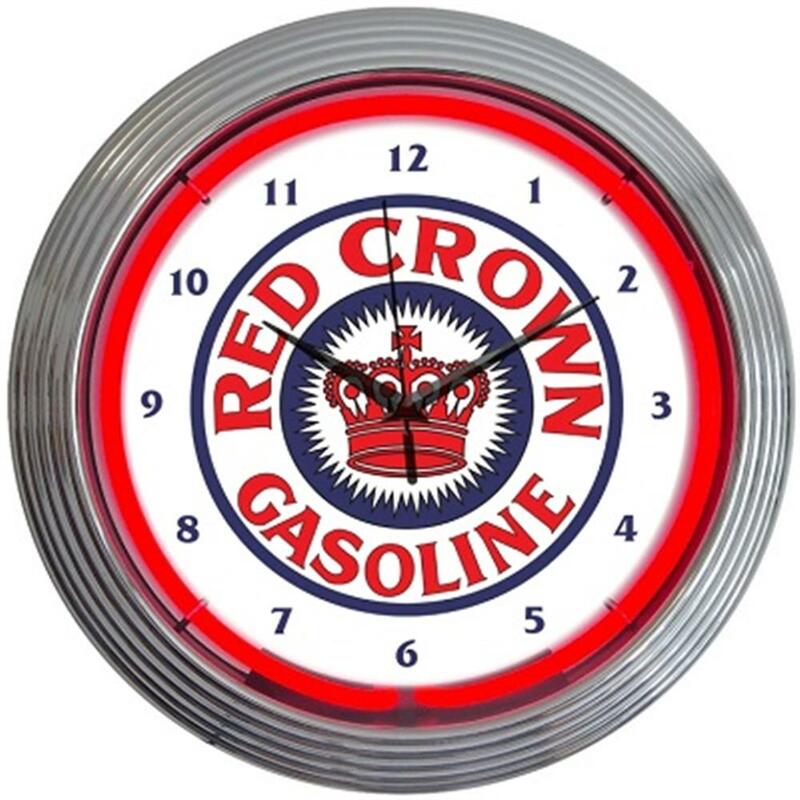 This Red Crown Gasoline Neon Clock features a hand blown ring of real glass neon, generating 25 watts of light. The neon clocks have glass faces and feature a sleek chrome finish, multi-tiered art deco style rims. The neon light is powered by an AC adapter (included) that plugs directly into a wall outlet and the clock operates on quartz movement powered by 1 AA battery(not included). Single and Double-Ring styles measure 15”H x 15”W x 3”Deep.